The Takeaway: Retailers today are trying to reduce and avoid returns like the black plague because they are so costly. Get creative with your return policy and you may see some surprising results. Returns can be the bane of existence for just about any retailer. They're expensive and time consuming, and each one represents a sale that needs to be re-earned. In 2014 alone, returns cost retailers $284 billion, according to the The Retail Equation's analysis of National Retail Federation data. They just aren't good for business. "In 2014 alone, returns cost retailers $284 billion." They're also somewhat unavoidable. The overall industry return rate is approximately 8 percent today, but according to The Washington Post, many believe that number's poised to rise as more shoppers make purchases without ever physically seeing or touching the products. 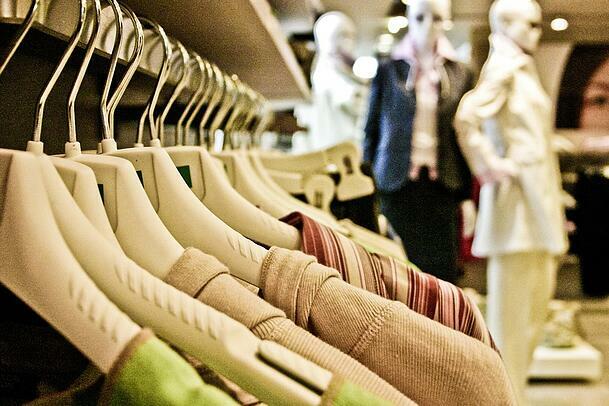 Here's the good news: A retailer's return policy can actually be a powerful asset. With the right policies in place, retailers can cut down on the number of returns, and even increase their sales. How? Take a look at these three surprising strategies. The more lenient a retailer is about time limits for returns, the fewer returns it'll see. Doesn't seem very logical, does it? But that's the biggest takeaway from a recent study by University of Texas-Dallas researchers. The study pointed to two possible factors driving these results. First, there's the "endowment effect," which suggests that consumers become more attached to a product the longer they own it, The Washington Post reported. Second, the researchers found that greater leniency means that there's less urgency for shoppers to decide whether to return something or not. The more time that passes, though, the less likely the customer will think that it's worthwhile to bother with a return. As an extra bonus, this study found that more lenient return timelines, along with more generous refund policies, can boost overall sales, The Washington Post noted. Retailers don't like returns. They want to limit returns to the smallest possible number. As a result, a lot of companies tend to hide their return policies, or use vague language when describing them. Instead, try being more upfront. As Big Commerce contributor Katey Ferenzi recently asserted, transparency when it comes to return policies can go a long way toward improving customer relationships. "Let those who have already bought know that you are dedicated to them liking their product, and that if they don't - they can always return it," Ferenzi wrote. "Being your customers biggest advocate is a great way to foster lifetime loyalty." Keep your return policy clear and simple. Ferenzi also emphasized the importance of speaking frankly and outlining expectations. Don't let your customers believe they'll get a refund a week before you can actually deliver it, and don't make them think everything can be returned for a full refund if that's not the case. As long as the retailer is upfront, honest and transparent, customers will have the right expectations, and that means they won't be disappointed and they will have a lot more trust in the seller. That's a recipe for repeat customers further down the road. If you're talking about ways to minimize the costs and maximize the advantages of return policies, you need to take a look at return fraud. As the NRF's Return Fraud Survey found, holiday season-specific return fraud alone cost retailers about $2.2 billion in 2015. Such a high cost can't be ignored. But how can your return policy fight against it? Small Biz Trends contributor Rieva Lesonsky offered a few ideas. For one, she said retailers should consider implementing a restocking fee for expensive products. Obviously this is less generous, but it might be worthwhile as a strategy for deterring fraud. The writer also suggested that retailers with both a brick-and-mortar and an ecommerce presence consider encouraging in-store returns by offering faster refunds through this route. This can cut down on the fraudulent tactic of buying a new item but returning an old one - a problem many retailers run into. Such a strategy is increasingly viable as more retailers move to embrace omnichannel strategies. There's no such thing as a universally sound return policy. Every retailer is different, and so every retailer needs to develop its own approach. But by considering these return policy tactics, retailers will be well-positioned to make returns an asset to their brand, rather than a headache.